-What is the hardest thing for you about writing a Romantic Suspense story? Puke out the first draft, crafting the plot and tying the threads of the story together. Edit to fill in details. Send to a copy editor. Stammer, stutter, shift to-and-fro, beat my head against the wall and quiz my friends. Finally get a first draft done, then edit, rewrite, edit, rewrite, edit, rewrite. Collapse in exhaustion and wonder why I love this profession. -What other romantic suspense stories have you written and which is your favorite? HELL ON THE HEART is my favorite. It is an action-packed story involving gypsies, American Indians, The Feds, Texans, Armadillos, Tornadoes and a group of bad men that escalate with each chapter. This is the story of a man who thinks he’s in charge and the woman who really is. 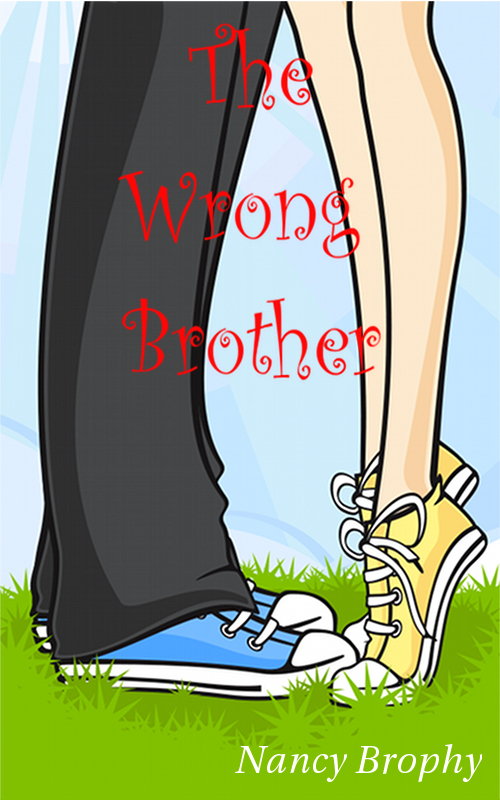 THE WRONG BROTHER is my best seller. What happens when the brother’s girlfriend grows up to be a hottie and your brother grows up to be a schmuck? It is a story about finding out who you are and what you want from life. CAUGHT IN THE MIDDLE wrings my heart. 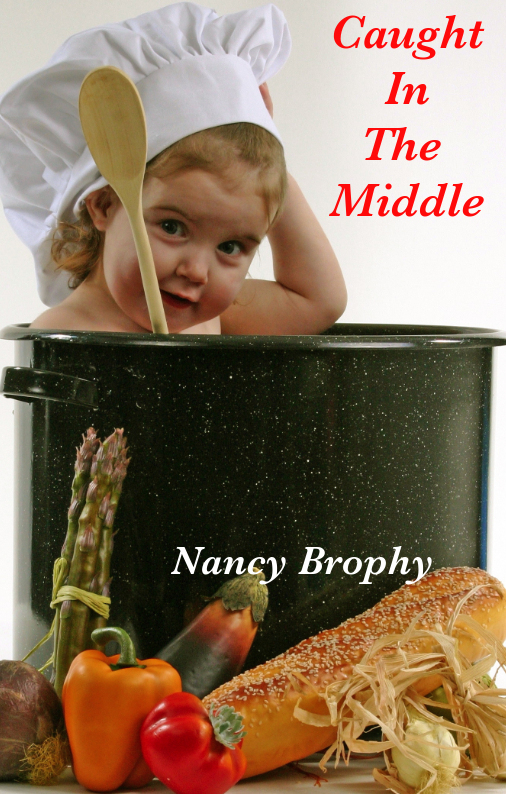 I wrote this story because a three-year-old girl I knew died from Leukemia. They say you can’t rewrite history, but this child needed a different family and a better ending. Grant is one of my favorite heroes because he is so honorable and Dori is like so many women I know - hardworking, and yet she jumps into the fray without batting a eyelash. It is refreshing to hear you tell me the book was funny because I never read it without tears. -Why did you decide to write Romantic Suspense? I read many genres but I love romantic suspense. Murder, mayhem and gore seem to come naturally to me which means my husband has learned to sleep with one eye open. -You have such a fun voice that adds just the right amount of humor. Did you study comedy or does this all come naturally? Thank you. Comedy is actually amazing hard to write. Humor continually interferes with the mood and the plot. You can see how humor altered the scene so much that I was forced to shoot the heroine. -Tell us about your latest release. I’m attempting to write a series. In the first book of TEAM DANIELS, Braden Daniels, former SEAL and security expert is rescuing his nephew. Braden hesitated. She thought she was in charge? When had he stepped into this world of insanity? He’d been in command so long he couldn’t imagine someone usurping his authority, much less a woman he outweighed by eighty pounds. “Why?” He treaded cautiously, wanting to know more about her before he revealed his skills. “Good idea.” He didn’t tell her that a locked door wouldn’t have slowed him down. Where had she gotten her training? How had she met Nigel? When the door didn’t lock, she entered the stairwell and actually allowed him to go first. He was pleased to note she maneuvered the concrete stairs as quietly as he did. At the nineteenth floor door, she thrust a small curved mirror in his direction. Really? Had Nigel portrayed him as incompetent? Certainly he’d called for backup. A mirror? What kind of covert op did she think this was? The outrage on her face was priceless, but before she launched into a long diatribe, he grabbed her arms and whipped her body against the wall. His pride was assuaged when she trembled. Perspiration beaded above her upper lip. Faint freckles skied across her nose, while the combination of heat, soft woman and witchy scent wrapped around his spine urged him closer. She pursed her lips. He forced himself not to react. Even pressed against her soft curves melting into him wasn’t enough. He longed to taste her, explore her body, discover her mysteries, writer or not. “My current WIP features a heroine who’s a cat burglar. I practice to get the details right.” She shoved against him, but he refused to shift his body away from hers. Not until he got answers. Her voice betrayed her exasperation as though he should have known what she meant. He’d spent his life around dangerous men, but this woman scared him. She played games with other’s lives. Writing wasn’t real and this was a job where a pen was no match for a gun. -What's the best compliment you ever received about your writing or one of your stories? -What are you working on now and when can we order your next book? Book I of the Team Daniels series should be up by early fall. I’ve taken on too many outside projects this summer and am having trouble finding the time to edit, but the book is essentially finished and now needs beta readers and editing, editing, editing. I enjoyed the interview immensely, Nancy! 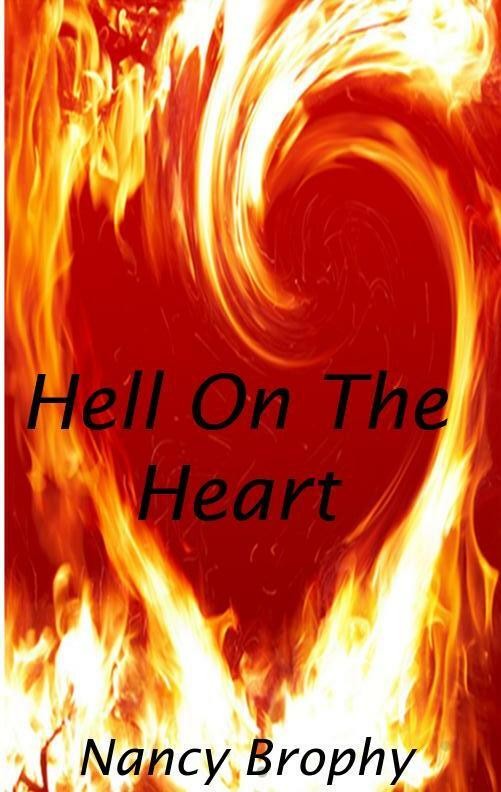 Now I have to read Hell on the Heart just for the shoot-the-heroine scene! BTW, your process sounds almost identical to mine. Thanks for joining us on this Hot Summer Day! From the excerpt, Book 1 of Team Daniels looks like a winner. I can see why Sarah is a FanGirl. I'm Sooooo behind on my TBR pile but I'm planning on adding your books soon. Nancy, fun interview and great excerpts. Enjoyed the excerpts and the interview. Good luck on your sales! Thank you to everyone. This was a fun day and I was glad to be here.